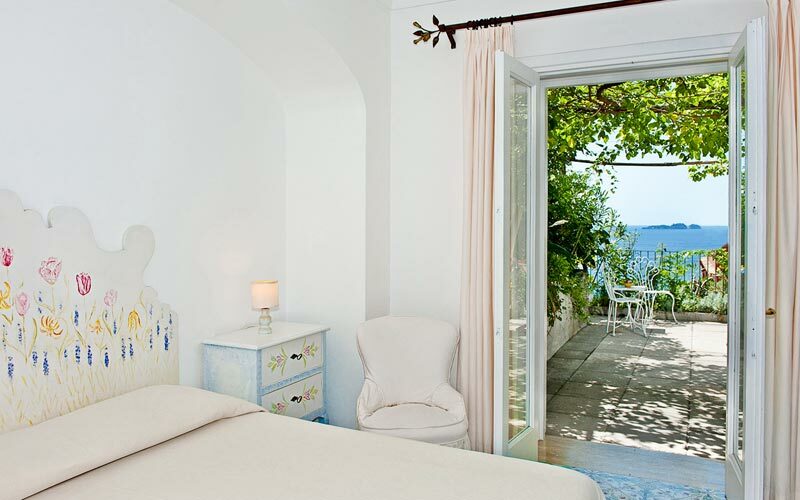 Intimate, welcoming and quintessentially Mediterranean, Positano's Villa Rosa B&B has all the things that have made the Amalfi Coast such a sought after holiday destination: graceful arches, sun-drenched balconies, shady porticoes brimming with bougainvillea and roses and, from each and every window and terrace, spectacular views of a piercing blue sea. 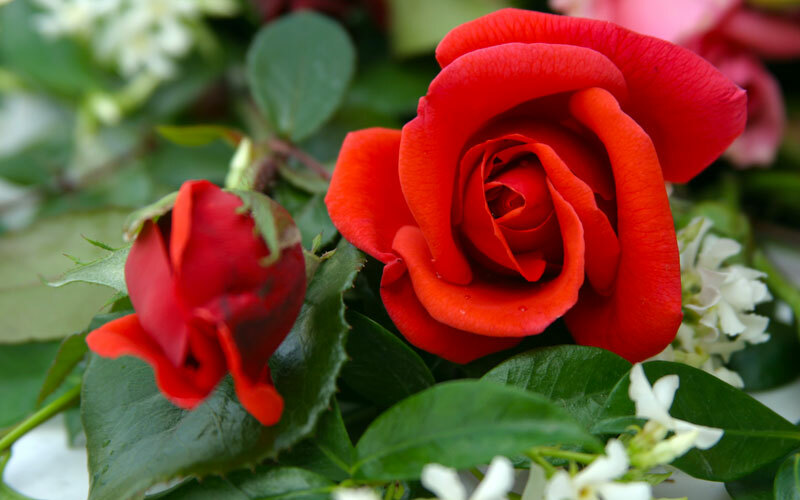 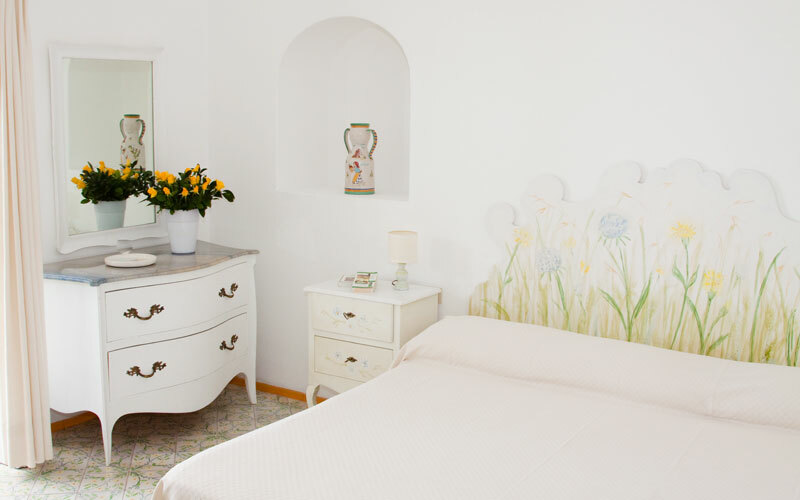 At Villa Rosa, guest accommodation is provided in tastefully furnished bedrooms, suites, or in the hotel's two-bedroom family flat. 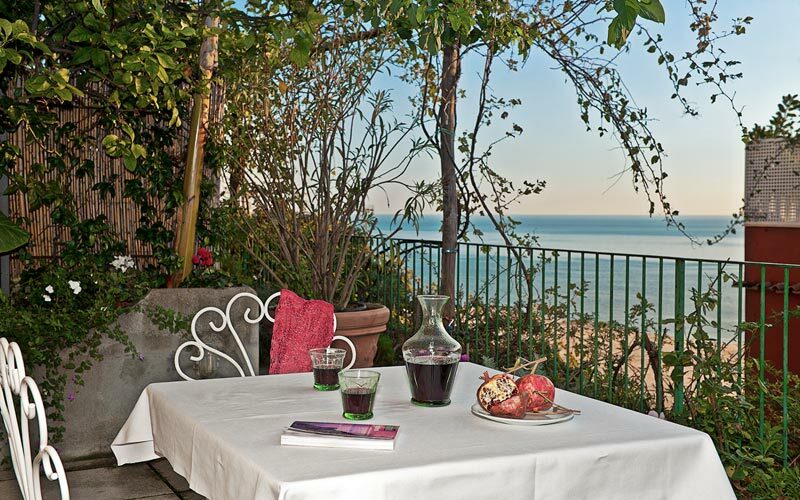 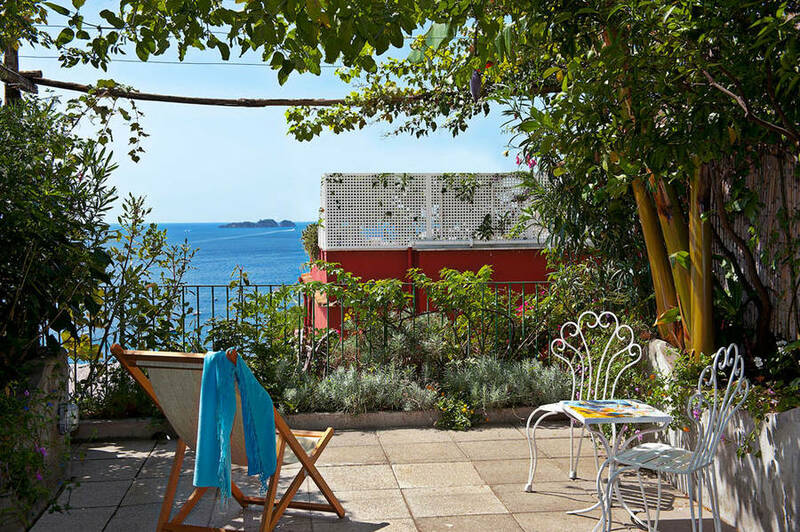 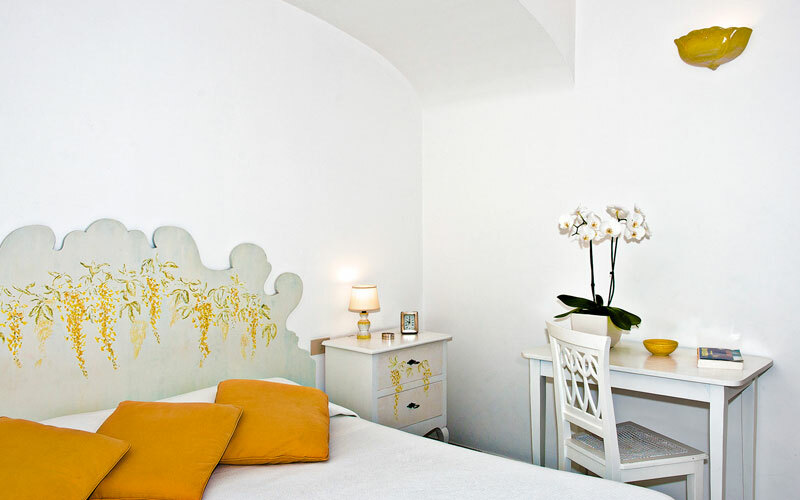 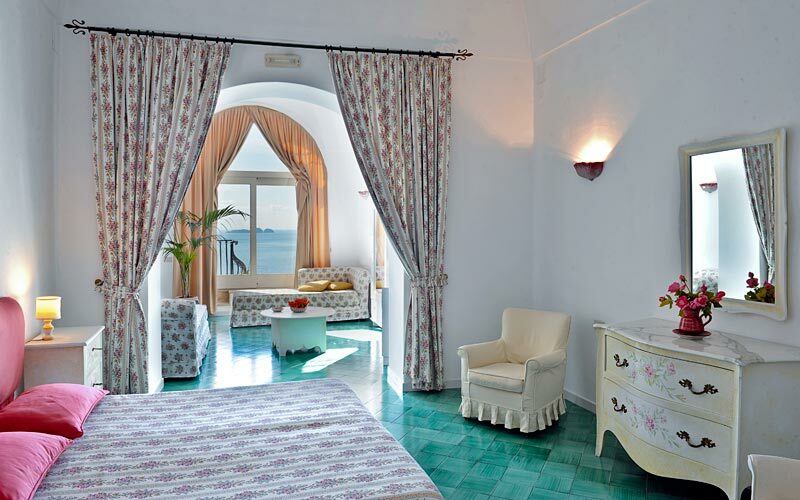 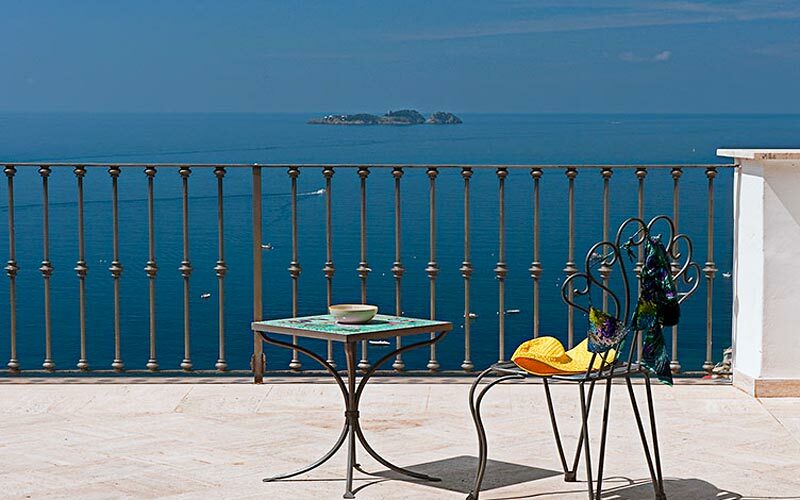 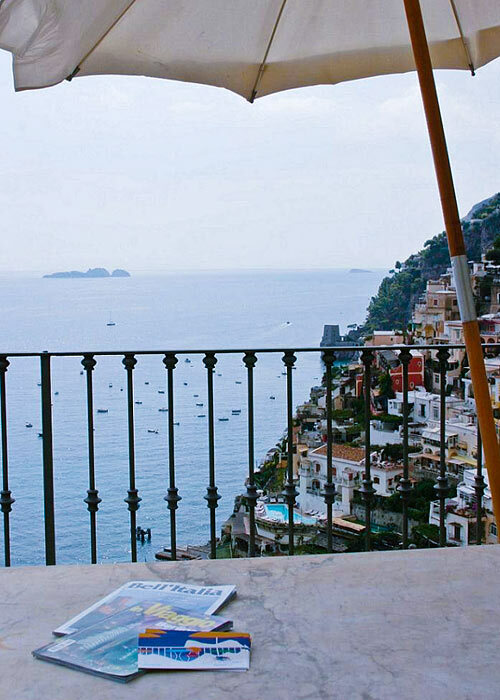 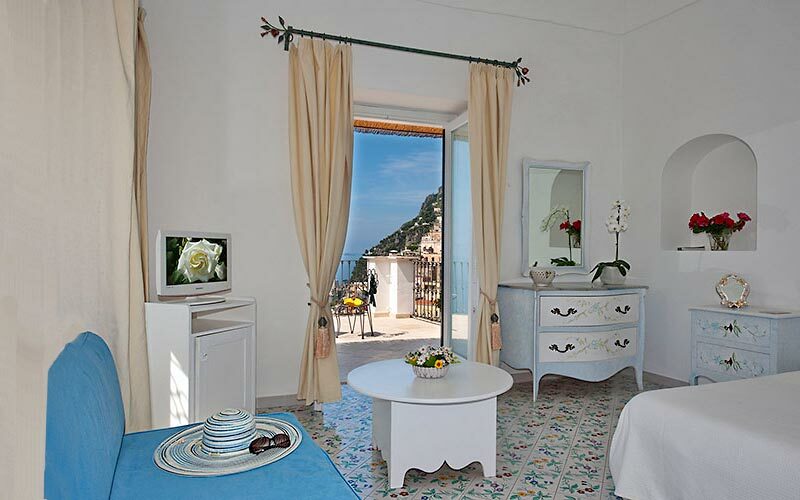 All categories of room have marvelous views of the sea surrounding Positano. 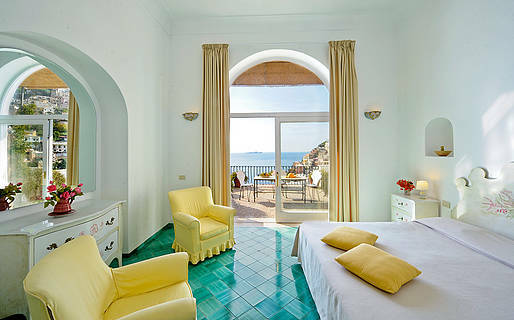 Featuring the vaulted ceilings and hand-painted majolica floor tiles typical of the Amalfi Coast and equipped with air conditioning, satellite television and wireless internet connectivity, Villa Rosa's rooms offer a pleasing mix of traditional Mediterranean décor and the latest in contemporary comfort. 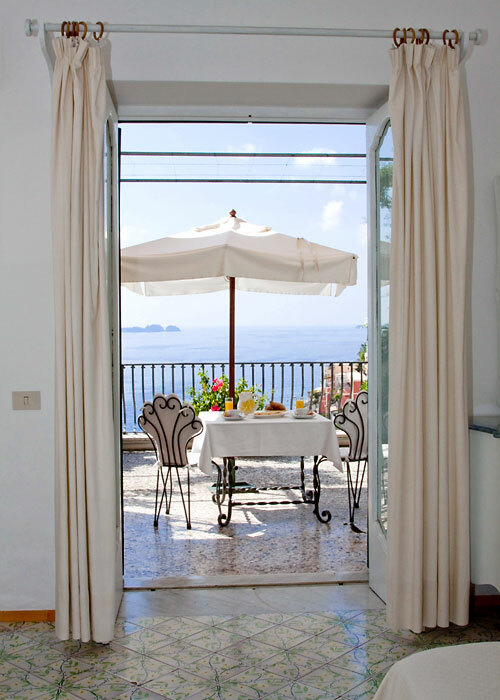 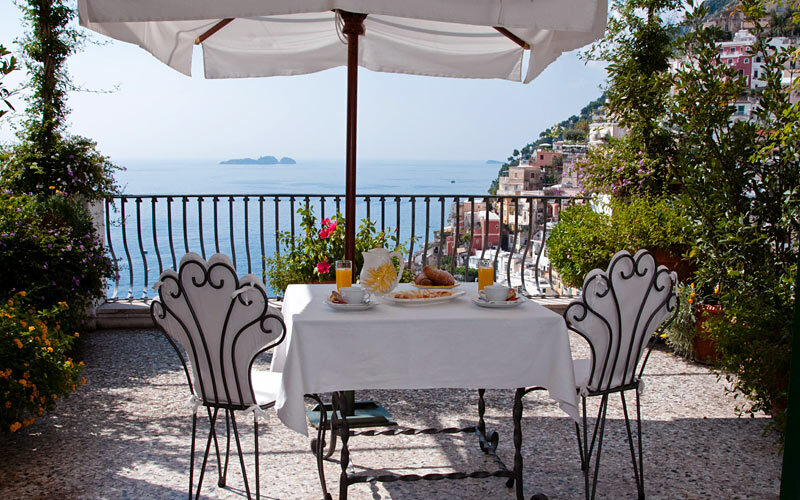 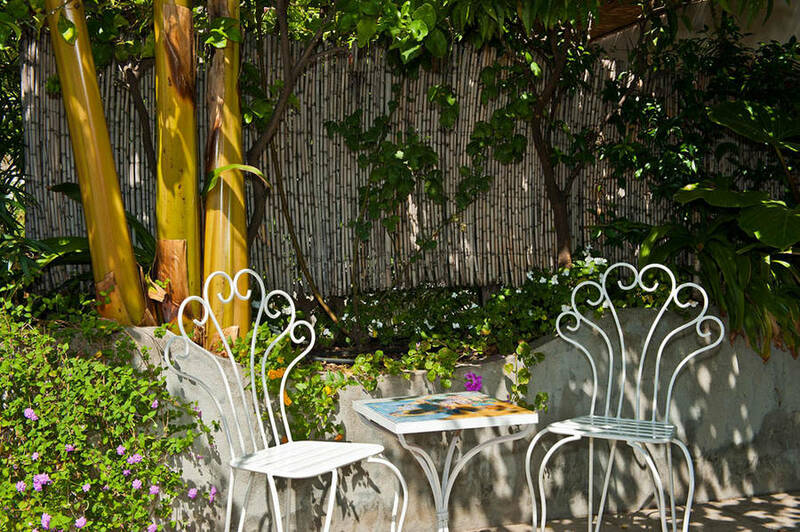 Guests can choose to take breakfast in the privacy of their own room or on the large, flower-decked terrace overlooking Positano and the sea. 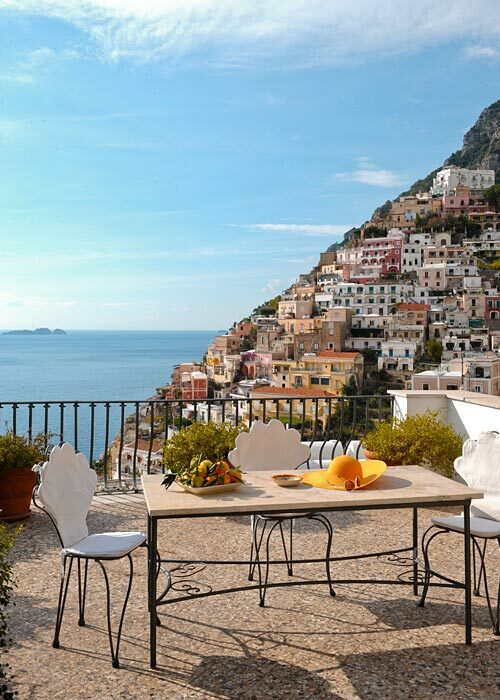 Situated close to the historic center, within easy walking distance of all Positano's most fashionable shops, restaurants and pavements cafés, Villa Rosa bed & breakfast is the perfect choice for those holidaymakers keen to experience life in this legendary coastal town. 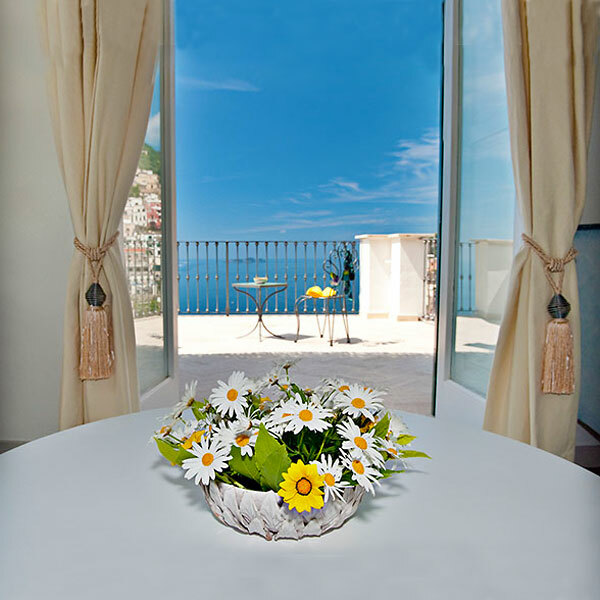 On the beaches of Fornillo and Spiaggia Grande, visitors can rent a boat or join one of the boat trips to the nearby towns of Furore, Conca dei Marini, Praiano and Amalfi.